And you thought tech folks only invested in cool new virtual reality stuff and snack foods that replaced greasy potato chips. 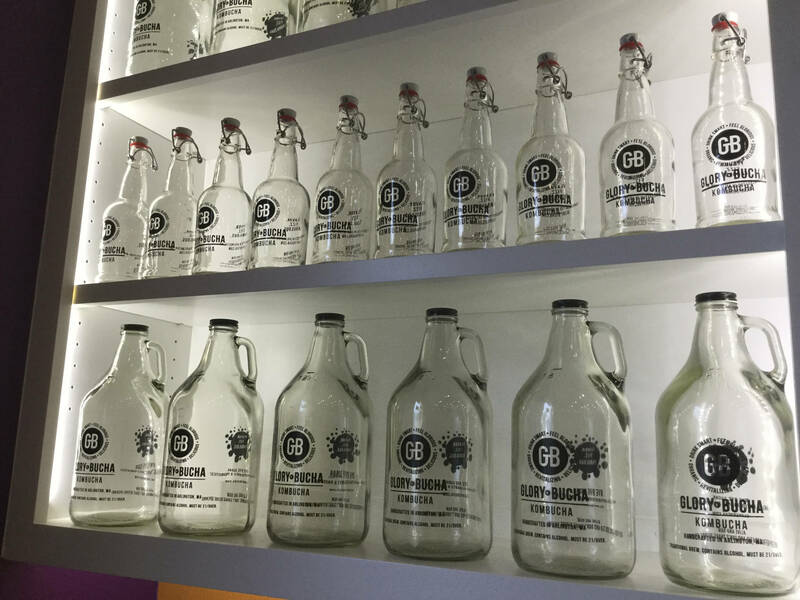 In the case of GloryBucha, a kombucha brewery in Arlington, WA., co-owner Lowell Profit (a great business name) has teamed up with Debra Charapty to open a taproom in the downtown of this Snohomish County city. Profit began brewing kombucha to end his cravings for soda. After testing its popularity at a local athletic club, Profit knew he was on to something—that something being the rise in popularity of this probiotic beverage. After running into Charpaty, who brings experience in working with startups, the two knew they had found a business opportunity. “I was drinking a lot of kombucha because I was drinking wine, and I wasn’t feeling my best, so I decided I was going to change my lifestyle,” Charpaty told the Arlington Times in a recent interview. The big change was eliminating high-sugar beverages and alcohol. According to the article, GloryBucha is the first commercial kombucha brewer in Snohomish County. While I am not quite sure I understand it, those who dislike, or even profess to hate kombucha, enjoy waxing eloquently about their displeasure. Elaine Genest writes: And so, one day I was strolling around the aisles of Jean Coutu and came across that beautiful, tall, colourful bottle. It just had that look of something that was sure to revive my internal organs and give my body a fresh start. Made up of only water, tea, sugar, and bacteria, I thought this would be the best way to truly take care of my body; I’d let the little army of germs clean my insides like the scrubbing bubbles from the bathroom cleaner ad with a bunch of little blue squid-like creatures wiping away all of the dirt in your bathroom. However, when I poured myself my first glass of lemon and ginger kombucha, the clumps of weird alien residue at the bottom of the bottle came out all at once into my cup. Not only does kombucha look like it belongs in a science lab with a shelf of alien-like creatures floating in some liquid, but it tastes like it too. If you’re looking to improve your health by drinking kombucha, don’t. If you feel like you need to ingest millions of bacteria in a bottle of disappointment, just eat some expired yogurt and save yourself the trouble. Well put. More for me.